looks awesome, new panel design is cool as hell! Not identical, but limited changes - I'd guess maybe 10% different. The little trimmer (behind the hole between write & scale) is designed to make that easier. huzzah i love front mounted recessed trimmers that are still accesible through the panel! Any chance there will be black panels to match the old expanders? I'll do a final run of the acrylic panels but I won't be making new acrylic designs for the new modules. But I will be releasing all the manufacturing files for them and details on getting them made. So it would be quite simple for someone to make new designs to match. Any plans in the works to house this and all the expanders under one panel? 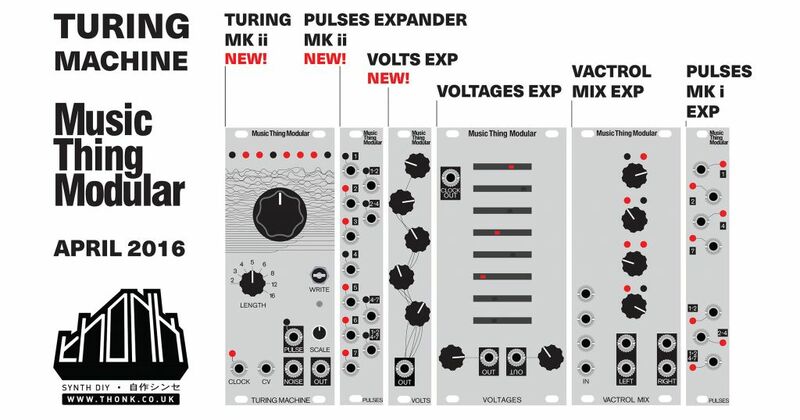 Considering it, but with 5 expanders and rising (including chaining multiple volts modules) it doesn't make quite as much sense anymore I don't think. I won't be manufacturing the acrylic panels any more but I will be releasing all the manufacturing files for them and details on getting them made. So it would be quite simple for someone to make new designs to match. So you won't be clearing your acrylic stocks anymore? Sorry I should be more specific, I am going to do another run first. But i'm not producing a design for the new module in the old styles. Does this preclude the 9v regulator fix from the older version? Brilliant stuff. Btw if I replaced a resistor with a trimmer in my original one could I trim the locking problem away? If so any idea which one? Or is it all different now? So, I understand locking to the left with the length selector 16 makes the loop length 32. Does it then mean the other length values on the selector will be doubled when locked to the left? 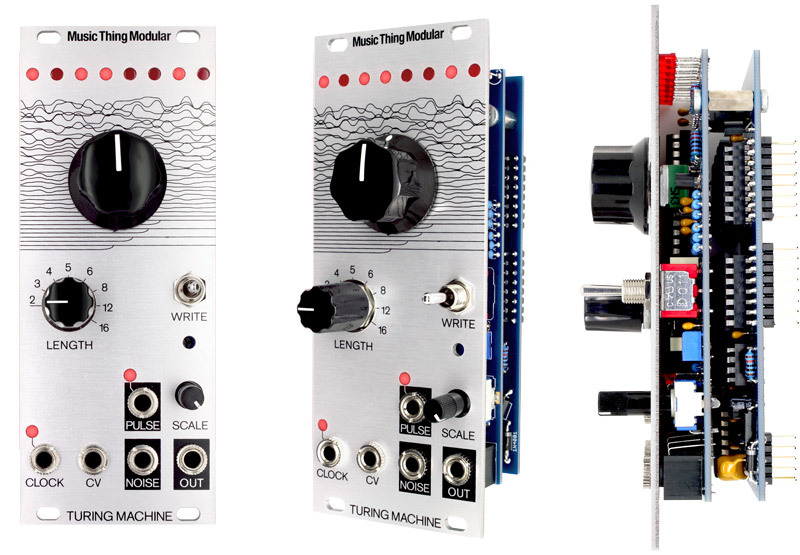 Magpie Modular makes it for the first version. I think that they will make it for this one too. It has a completely new voltage reference for the DAC, should have more stable voltage outputs. The expanders all use the old 9v system. Little OT: I'm going to build a mk.I, what's this locking issue everyone's talking about here?